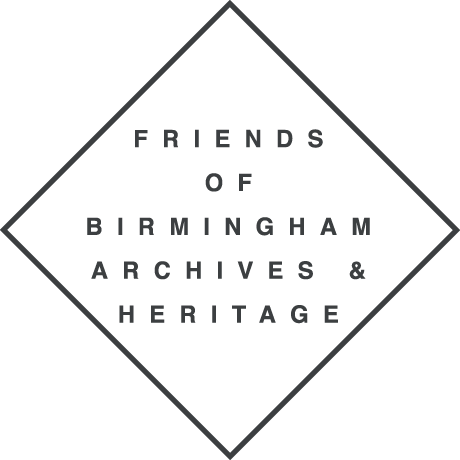 Friends of Birmingham Archives and Heritage has received nearly £10,000 from the Heritage Lottery Fund (HLF) for it’s Birmingham Children of War project. 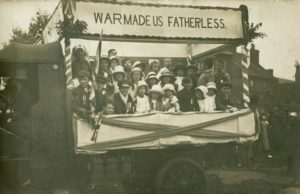 Awarded through HLF’s ‘First World War: then and now’ programme, the project will focus on experiences of children growing up or being born in Birmingham during the tumultuous years of WWI. Marking the Centenary of the First World War, this project will enable local people to come together to focus on uncovering the largely untold story of children’s experience of war from a Birmingham perspective, thanks to National Lottery players. The project will be enlisting the help of local volunteers to research archival resources to find examples what life was like for a child living at that time, and the impact war had on their everyday lives. In addition, we will be seeking new material in the form of photographs, diaries, memoirs and other mementoes that can be digitised and shared via an interactive website. Over 500,000 children in the UK lost their father during this conflict, a tragic statistic that undoubtedly had a huge effect on children’s lives. This project aims to uncover stories about individual children that help us better understand the impact the War had on their lives both immediately and over the following decades. Commenting on the award, Professor Ian Grosvenor, Chair of FoBAH said: “We are very pleased to have received the support of the Heritage Lottery Fund. This is an important part of the city’s history and huge gaps remain in our knowledge of children’s experiences during and after the First World War. We hope many people join this journey to research and share those experiences”. Liz Palmer, will be managing the Project which will run until the end of February 2017. The main launch will take place at an event on Monday 12th September, during Birmingham Heritage Week, to which all FoBAH members and the public will be invited. We are hoping that many FoBAH members, together with members of the local community, students and schools will want to get involved with the project by researching archive resources and helping to add to our, as yet limited, knowledge of children’s experiences during the war and in the immediate aftermath. Digbeth Speaks is a volunteer project that has been funded by the Heritage Lottery Fund’s ‘All Our Stories’ scheme, which has enabled communities to explore, share and celebrate local heritage. 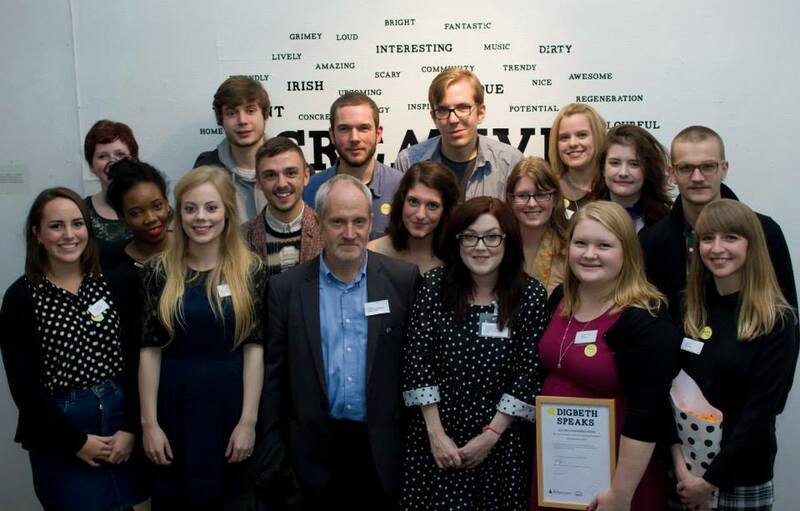 The project has been led by young members of the Friends of Birmingham Archives and Heritage, based at the Library of Birmingham, alongside a dedicated group of volunteers who largely comprise postgraduate students from the University of Birmingham. The project has been managed by FoBAH committee member, Carly Hegenbarth, and Sarah Taylor Silverwood. Over the course of the project we interviewed a range of organizations and individuals, including residents, artists, musicians and people who socialise in Digbeth. We also attended a variety of events. This allowed us to obtain diverse accounts from individuals who are based in Digbeth. It also enabled us to capture spontaneous reactions and first impressions from people who might have been in Digbeth for the first time. Digbeth Speaks aimed to capture people’s stories and impressions of Digbeth which might otherwise remain undocumented and become lost. All of the recordings willl be housed permanently in the Library of Birmingham’s archives, which will be available to the public through open access. In October 2013 an exhibition of the audio and visual findings was held at The Custard Factory (curated by Jenny Lance). It was attended by over 400 visitors. During the course of the project, FoBAH hosted a walking history tour of Digbeth and two educational workshops. FoBAH also presented two project volunteers (Hannah Squire and Holly Beaumont-Wilkes) with awards for their outstanding contribution to the project; these were presented by Sue Beardsmore (HLF).